Home / Assessment / Spotlight on Social Language Competence: When is a high subtest score a cause for concern? Spotlight on Social Language Competence: When is a high subtest score a cause for concern? I have been using Social Language Development Tests (SLDT) from Linguisystems since they were first published a number of years ago and I like them a great deal. For those of you unfamiliar with them – there are two versions of SLDT, elementary (for children 6-12 years of age) and adolescent (for children 12-18 years of age). These are tests of social language competence, which assess such skills as taking on first person perspective, making correct inferences, negotiating conflicts with peers, being flexible in interpreting situations and supporting friends diplomatically (SLDT-E). Combined with other standardized and informal assessment instruments the SLDT scores generally produce a good picture of the client’s deficits, if used appropriately (with populations these tests were actually standardized on). Furthermore, selective and judicious use of SLDT (questions/visuals) on an informal basis with children from multicultural, bilingual and low income households can also shed light on their social pragmatic language competence. Given my primary work setting (outpatient school in a psychiatric hospital) as well as my private practice specialties, I utilize these tests rather frequently. However, over time I noted a seemingly innocuous yet very significant pattern with respect to the Supporting Peers subtest of SLDT-E, which assesses the child’s ability to assume first person perspective in a ‘situation’ with a friend and requires the child to state a supportive reaction to a friend’s difficulty (tell a “white lie” rather than hurt the friend’s feelings). The intent behind this subtest’s development is to identify children who have difficulty appropriately complementing, criticizing, or talking with peers and who as a rule tend to be excessively blunt, tactless, or ‘thoughtless’ regarding the effect their words may have on others. Consequently, if a child receives an average or above average score on this subtest, the general assumption is that this particular area does not pose a difficulty for the child and does not require intervention. But is it really true? Recently I administered this test to yet another client, a bright 6 year old kindergartner, due to significant parental concerns over her social pragmatic language abilities. She struggled with answering questions on all the other subtests of SLDT-E (Making Inferences, Interpersonal Negotiation, as well as Multiple Interpretations) but she ‘nailed’ the Supporting Peers subtest. In fact her responses resulted in a score in a superior range of functioning. Moreover, despite having scores well below the average range on all other subtests, the Supporting Peers subtest actually raised her total test score to be in a low average range. Some SLPs may look at her total score and decide that this child is not eligible for services. But here’s the catch. Additional testing revealed that this child clearly had social language deficits and having a total average score on one test wasn’t going to make these deficits go away. During parental interview, this child’s pattern of interactions was described as ‘immature’. Parents stated that she was heavily reliant on them for ‘every little thing’, and were concerned that “she was easily led” and tended to follow others’ agenda, including that of younger children. So I decided to analyze her pattern of responses and what I’ve discovered was that instead of providing thoughtful qualitative responses on the Supporting Peers subtest, she literally liked “everything”. What does that mean? Well on the Supporting Peers the scores are divided into several categories. A correct response that shows strong support said out of politeness or kindness receives a score of 4 (e.g., direct compliment, agreement to/acceptance of something, etc.). A partially supportive score receives a score of 2 (e.g., makes a remark which combines positive and negative elements, provides an unrelated compliment, etc.). A score of 0 is given for a negative comment (e.g., criticism, unrealistic advice, rejection of an invitation without a reason, etc.). So a response such as “I like your glasses, pajamas, etc” will result in the highest subtest score of 4. In other words, just by repeating the phrase “I like your ____” over and over again will earn the responder an average subtest score since according to the SLDT-E guidelines it evidences “strong support” on the part of the responder. However, the “I like your ____” is not a qualitative response. It does not require any critical thinking ability for justification or any special insight/elaboration. So while the child who produced the “I like” response is not being excessively blunt, tactless, or ‘thoughtless’ with respect to providing supporting reactions, they are not exhibiting true social competence either! How to recognize “social immaturity” on the Supporting Peers subtest of SLDT-E? We need to look at the pattern of scores breakdown since clearly only a select group of children with high scores on this subtest are at risk. A major red flag is when there’s a statistically significant score discrepancy between the Supporting Peers subtest (too high) and all the other subtests scores (too low whether in the average or below average range). Coupled with parental/teacher reports regarding the child’s immature social emotional development (which are often confirmed by the SLPs personal observations), it is often a strong indication that all is not well in that area and that intervention is strongly recommended. So the next time you see an unusual scoring pattern on the SLDT-E (or on any test for that matter), don’t be so hasty to dismiss it as inconsequential due to an average total score. Try to dig deeper to explain it. Who knows? You may not find anything unusual or you might uncover some hidden deficits, which may ultimately lead to appropriate service provision for the affected child. After all, there are times when even high test scores deserve a second look! Thanks for this. I strongly believe in the importance of item analysis when evaluating. A standard score is meaningless if it doesn’t answer the “why”; as in why is this student having challenges. 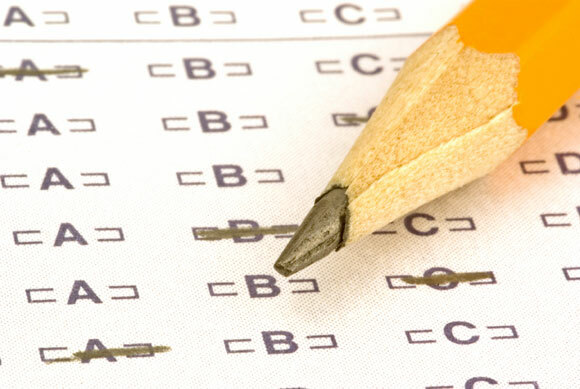 We need to look beyond the score and truly analyze by looking at individual answers, comparing subtest scores, knowing what is truly being assessed. Great points! I completely agree. If we use standardized measures in conjunction with dynamic assessment we quickly realize the areas of need and what functional skills should be targeted. I very much like how you analyzed her responses. I too spend time analyzing responses specifically when I get a discrepancy between test performance and functional skills in real-life situations and it becomes clear very quickly where the problem lies. This is just another example of where “standardized testing is not enough”. Nice post!